The erratic market movements are creating a dilemma for investors. Clearly, markets seem to have lost their sense of direction these days. The popular indices rise sharply and fall equally acutely a couple of days later. Consequently, the sentiments of investors' have remained weak throughout October. Foreign Institutional Investors (FIIs) are shunning Indian markets in contrast to the domestic investors that continue to show faith in them. The good news is that Mutual funds are popular with retail investors despite poor market conditions. We see that the retail participation has not only has remained strong, but has been improving consistently. Systematic Investment Plans (SIPs) offered by mutual funds are catching up fast and investors from even tier-2 and tier-3 cities are realising the benefits of this mode of investment. 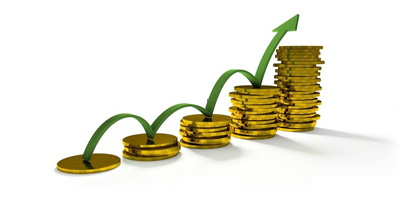 According to AMFI data, monthly SIP collections of mutual funds have witnessed a healthy growth of 15.5%. As on September 30, the SIP accounts totaled 2.44 crore and the monthly SIP collection of the mutual fund industry stood at Rs 7,727 crore. Novice investors (first-timers) have started thinking about discontinuing their SIPs since many of them have generated negative returns determined by a one-year basis. Many of them believe, if markets are going to fall every week like they have been declining for past couple of weeks, then it's worth waiting until they are done with the fall. In other words, they actively talk of timing the market. PersonalFN believes this a dangerous strategy. Nobody has ever succeeded with this for very long period of time. We, at PersonalFN, believe you shouldn't discontinue SIPs even when markets are countering the deadliest attack of bears. Meet Amar, Akbar, and Anthony—three close friends who have distinctly different approaches to investing. All of them invest in mutual fund SIPs, like you and many other investors. Amar is a long-term investor and believes in the power of compounding. Akbar is a little cautious investor. But once he understands the benefits of a strategy, he can commit money for a pretty long term. Anthony is a slightly fickle-minded investor. He's always ready to mimic his friends, Amar and Akbar, but loses interest soon after incurring a mild loss. Amar started investing in mutual funds in October 2003. For the last 15 years, he's been investing in a fund that has mimicked the performance of BSE Sensex. His SIP of Rs 5,000 has earned him Rs 21.68 lakh, thereby fetching compounded annualised returns of 11.3%. Don't forget, this is despite the ongoing carnage on Dalal Street. Akbar began investing in mutual funds in October 2006—once he saw Amar making money through mutual fund SIPs. He hasn't missed a single SIP instalment since then. Despite the recent fall in the markets, his mutual fund portfolio has swelled to Rs 12.78 lakh—a compounded annualised return of 9.1%. Anthony started investing in mutual funds with Akbar in October 2006, but discontinued his SIPs in June 2008—soon after the mortgage crisis in the U.S. threatened to turn into a global financial crisis. Although he didn't withdraw money thereafter, he never returned to markets either. His mutual fund investments have fetched him around 7.5% compounded annualised returns. Well, so has been his level of commitment. Amar, Akbar, Anthony invested in a mutual fund scheme that was a market performer. However, many mutual fund schemes have substantially outperformed BSE Sensex over the last 10-15 years, in reality. In other words, the compounded annualised returns generated by worthy and actively managed funds are much better than the 11.3% returns Amar's investments have generated for the last 15 years. The longer your SIP runs, better are the chances that you will accumulate more units; and you, perhaps, stand a better chance to generate higher returns. If you discontinue your SIPs abruptly because of the current challenging market conditions, you might end up generating ordinary returns. Need more reasons not to discontinue SIPs? Equity mutual funds are meant for the long term. When you discontinue SIPs in depressed market scenarios, your focus shifts from your asset allocation plan and market movements receive undue attention. In the short run, sentiments drive markets; but in the long run, fundamentals steer them up or down. In such cases, why not focus on the fundamentals and your financial goals? When you judge a fund based on its short-term underperformance in a bear market phase, you tend to overlook its long-term track record. A winning mutual fund could be affected during market turbulence, but the magnitude of the fall or its susceptibility needs to be evaluated carefully before you sell in haste. When you stop SIP and start chasing other assets, you start inviting bigger troubles for yourself and your finances. Simply because there's no guarantee that other asset classes won't disappoint you. Market conditions aren't as bad today as they were at the beginning of November 2008. Yet the challenges we are facing today are unique and tough to deal with. 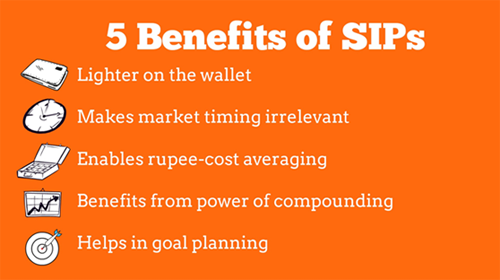 However, giving up your SIP commitments isn't an option though. Rather you should start a SIP in case you haven't opted for it yet. Globally, the trade war situation is likely to go from bad to worse. Rising interest rates in the U.S. and the steep appreciation in the value of US$ is making emerging markets unattractive for global investors. On home turf, the IL&FS fiasco and other economic adversities, such as rising crude oil prices, falling Rupee, and the increasing trade and fiscal deficits are making investors jittery. Low economic growth and lacklustre corporate profits are making investors bearish. Equity market valuations aren't cheap. How should you tackle them? At the individual level, one can't do much about adverse macroeconomic developments. Nonetheless, you can ensure that unfavourable macroeconomic conditions don't take a disproportionate toll on your investment portfolio. Selecting the most suitable mutual fund scheme is the key to generate superior returns consistently. Hence, you should carefully consider all qualitative as well as quantitative factors while selecting a mutual fund scheme for your portfolio. Ideally, you should select a scheme that has a proven track record of performance across market phases and timeframes. Mutual funds managed by process driven fund houses would be apt for your portfolio. Irrespective of old or new, every investor needs a helping hand when the markets have lost the plot. Running from pillar to post won't improve your understanding about markets and investing, in general. For that, you must devote time to learning some basics of personal finance. What if somebody helps you understand not only the nitty-gritty of how markets work, as well as assists you in developing a mindset to take prudent financial decisions? Sign up for PersonalFN's comprehensive A to Z e-course to Become Your Own Financial Planner. With this e-course, you can create a financial plan like an expert. It will guide you in the most serious decisions regarding money matters. The tutorials start with the basics of budgeting and managing cash flows and elucidates on how to set SMART goals. You will also learn how to select winning mutual funds, along with the right asset allocation and its importance. The modules will also outline strategies to build your optimum investment portfolio and much more.